Iridium Communications Inc. (NASDAQ: IRDM) has announced an updated launch date for the seventh Iridium® NEXT launch — the Iridium-7 mission is now targeting July 25, 2018, from Vandenberg Air Force Base (VAFB) in California, with an instantaneous launch window of 4:39:26 am PDT (11:39:26 UTC). This updated schedule comes after SpaceX informed Iridium that more time was needed to prepare the rocket for launch. Iridium NEXT is the company's $3 billion, next-generation, mobile, global satellite network scheduled for completion in 2018. 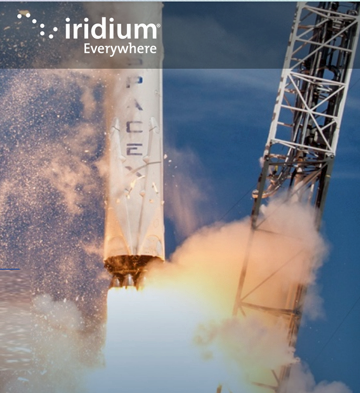 Iridium NEXT is replacing the company's first generation global constellation in one of the largest technology upgrades ever completed in space. It represents the evolution of critical communications infrastructure that governments and organizations worldwide rely on to drive business, enable connectivity, empower disaster relief efforts and more.